The first 10 minutes of a film are integral to the work's effect—a director only gets one chance to pull in the viewer. Video games are under similar pressure. It's not like we need Michael Bay explosions in order to fuse our hands to the controller for the next 10 hours, but we do expect more of a hook than we did back in the NES days. As games have become more graphically advanced, our pasty brains have been conditioned to search for a reason to keep playing past the first hour. And a game’s beginning sets up the main course. 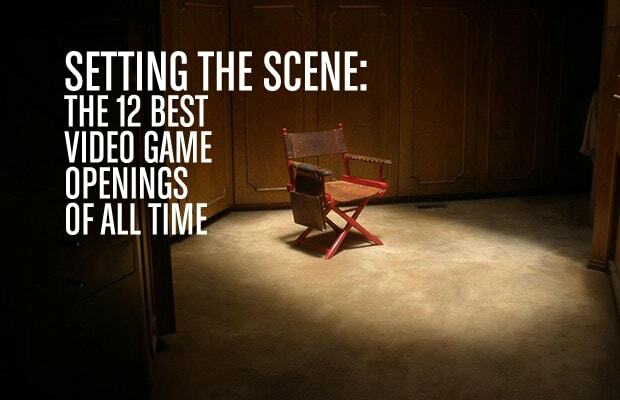 Hence, our picks for the 12 best game openings of all time. Sure, a lot of the games on this list lean heavily towards the new school, but that's developers have really been able to fine tune their art due to the tech. Don't think the old-timers are giving up their spots without a fight, though.